Red Ball is the PUP that uses misleading techniques to prevent removal. Use Reimage to locate malicious components and get rid of them faster than with uninstall instructions. A full system scan blocks virus reappearance and prevents traffic to malicious domains. How can Red Ball hijack my computer? How to remove Red Ball virus? Created by Red Ball Studio, Red Ball (also can be found as Red Ball 1.6 or Red Ball 2 1.02, Red Ball 4, etc.) is a gaming platform that can be downloaded from various freeware download websites. It offers a wide range of games in one place; therefore, younger generation of Internet users frequently fall for installing this application. 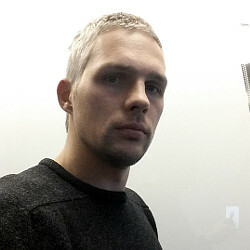 It’s has been designed to fit Windows OS based computers, but it has recently been adapted to iPhones and tablets with HD resolution. Unfortunately, after making a small research related to this gaming platform security experts have found that it’s closely related to Win32-PUP-gen adware and may initiate various unwanted operations on users computers. It may take over all most popular web browsers, including Google Chrome, Mozilla Firefox, Internet Explorer and initiate an excessive amount of commercial advertisements. These advertisements may appear in such forms as pop-ups, pop-unders, banners, in-text links and are usually marked as ‘Ads by Red Ball’. Be careful with these ads because they may be linked to suspicious or even unsafe third-party websites. It’s developers are not concerned whether those ads redirect people to safe or malicious websites; therefore, using this app is at your own risk. Don’t blame anyone if Red Ball redirects will make you visit website managed by cyber criminals where you may catch a virus or PUP infection. By the way, you should not forget the fact that adware-type programs are filled with cookies and used for gathering information about user’s web browsing habits and preferences. Due to all these issues Red Ball has been categorized as an adware and a potentially unwanted program (PUP) and needs to be removed ASAP. For that, we recommend using Reimage. 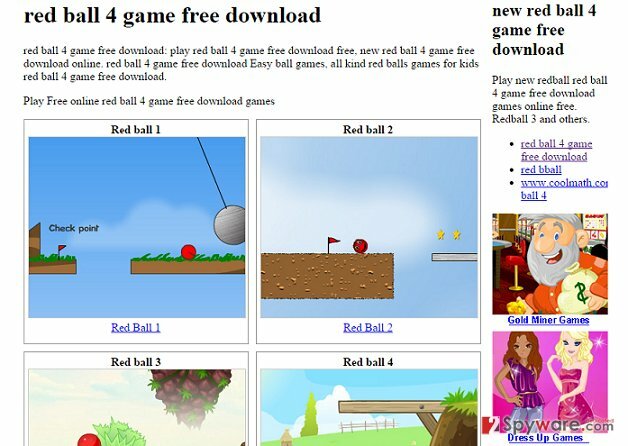 There are tens of download websites where people can download various versions of Red Ball browser add-on. Beware that all websites that promote this app are third-party download websites most of which are unreliable (software123, soft112, eplaybus.com, m.downloadatoz.com, etc.). Be careful because once installed it may start initiating Red Ball redirects, Red Ball ads, slowdowns and so on. Most of the download websites even warn you that their products are not checked for viruses, adwares, spywares and other threats; therefore, you should avoid downloading apps from poor reputation websites. 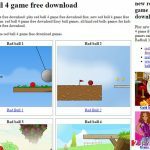 Unfortunately, Red Ball virus may also spread bundled with other freewares and sharewares that may even be downloaded from trusted download websites. In this case, you may install it without even realizing that. In order to prevent such happening, pay close attention to every freeware that you are about to install. Whenever you install a freeware, it’s a must to select Advanced or Custom installation option (instead of Quick/Basic/Recommended) because it discloses all available check boxes and enable users to opt out of ‘optional downloads’, such as CoolPic, Product Promoter, Shoppy-Up, VideoFox, Convert Files for Free or any other misleading browser add-ons, plug-ins, toolbars, and extensions. If you have already been tricked into installing any of these programs, make sure that you delete them without any delay. Here, look for Red Ball or any other recently installed suspicious programs. Wait until you see Applications folder and look for Red Ball or any other suspicious programs on it. Now right click on every of such entries and select Move to Trash. When in the new window, check Delete personal settings and select Reset again to complete Red Ball removal. Once these steps are finished, Red Ball should be removed from your Microsoft Edge browser. Here, select Red Ball and other questionable plugins. Click Remove to delete these entries. Now you will see Reset Firefox to its default state message with Reset Firefox button. Click this button for several times and complete Red Ball removal. Here, select Red Ball and other malicious plugins and select trash icon to delete these entries. Click Reset to confirm this action and complete Red Ball removal. Here, select Extensions and look for Red Ball or other suspicious entries. Click on the Uninstall button to get rid each of them. Now you will see a detailed dialog window filled with reset options. All of those options are usually checked, but you can specify which of them you want to reset. Click the Reset button to complete Red Ball removal process. This entry was posted on 2015-02-24 at 00:57 and is filed under Adware, Viruses. You can quickly scan the QR code with your mobile device and have Red Ball adware manual removal instructions right in your pocket. How did you remove Red Ball adware?